Estepona. All you need to know. Located approximately 20 minutes drive west of Marbella, Estepona has the distinction of being one of the largest coastal towns on Spain’s Costa del Sol. In fact, its municipal boundaries stretch as far east as the neighbouring coastal town of San Pedro and as far west as the Casares Playa/Manilva area. That’s 21kms of gorgeous Mediterranean coastline all told – and along the way, there are some of the best sandy beaches to be found anywhere in southern Spain. 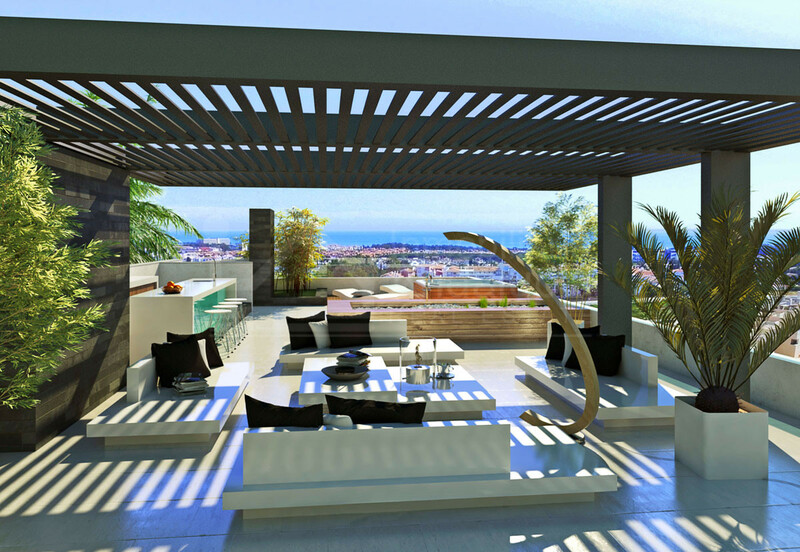 There are also a myriad of different residential areas and developments within the town’s borders offering buyers absolutely every kind of property imaginable and at all price ranges – from luxurious beachside apartments and penthouses in complexes such as Los Granados del Mar, Cabo Bermejo, Torre Bermeja, Mar Azul and Riviera Andaluza that come with priceless uninterrupted sea views, to majestic modern villas in upscale neighbourhoods such as El Paraiso, El Presidente, Seghers and Don Pedro. There are even delightful country properties hidden away amongst beautiful natural surroundings in areas such as El Velerin and mountainside villas with astonishing elevated coastal views in Los Reales. The actual town centre of Estepona itself is one of the most attractive and unspoiled on the coast. The local town hall have actually gone to great lengths to make sure it makes the most of its authentic Spanish charm, having turned many of its picturesque narrow cobbled streets and squares into pedestrian-only areas decorated with an abundance of colourful, typically Andalucian flowers. The immaculately-kept beachside promenade, which runs the entire width of the town itself, counts a bike path, various children’s play areas, outdoor gyms and water pools amongst its many outstanding features. This promenade (or Paseo Maritimo as its called in Spanish) is one of the true delights of Estepona and one of the social focal points of the town. It’s also home to some of the best beachside restaurants to be found anywhere on the coast, most of which serve delicious local fish dishes using ingredients freshly caught by the fishermen based in the town’s traditional fishing port at the western end of town. Next door to the fishing port, there’s Estepona’s luxury marina. In addition to its first class marine services, ‘The Port’ is also home to many stylish quayside cafes, bars, restaurants and nightclubs to rival any that can be found elsewhere on the coast. In short, Estepona is without a doubt one of the nicest places in which to live on the Costa del Sol. 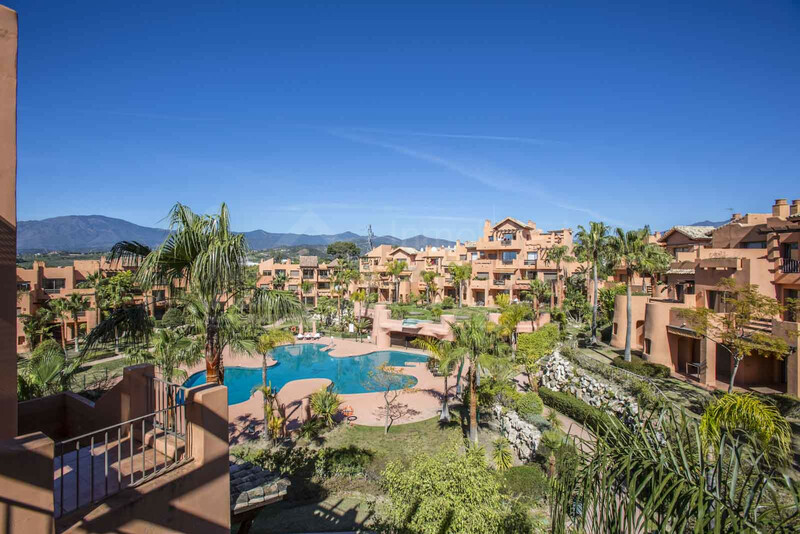 It’s a very diverse area with its own unique, typically Spanish atmosphere, plus of course a great variety of different types of property for sale. 2.975.000 € - 5 Bedrooms, 5 Bathrooms. 940.000 € - 3 Bedrooms, 3 Bathrooms. 176.000 € - 1 Bedrooms, 1 Bathrooms.